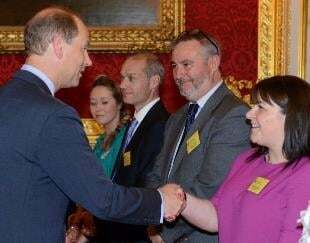 Vinci have been a proud partner of The Duke of Edinburgh’s Award Charity since 2010 and offer their young employees company-wide the opportunity to do their Gold DofE. Locations (of offices):We have 14 regional offices and almost 100 work sites nationwide at any one time. Areas of operation:Building, civil engineering, facilities management, technological testing and development. We design, build and manage the facilities that improve everyday life; the systems that transport us and the buildings in which we live and work. Our business is diverse, covering building, civil engineering, facilities management, and technological testing and development. The VINCI Group has a turnover of €40.3b and employs 191,000 people in 100 countries around the world. The UK is VINCI’s second largest operating area with a turnover of around £1.9b, and 4,000 employees. Every member of our team plays a role in creating and maintaining a structural landscape and future for Britain. We really believe in the skills The Duke of Edinburgh’s Award develops in young people and encourage any young person that takes up the DofE challenge to finish their Award and progress through the levels. Young people employed by VINCI Construction UK can expect a career, job satisfaction and personnel development. What’s more, they work alongside the most determined teams in the industry. We know that not all young people have the chance to do their Gold DofE Award and so we support a number of young recruits from across the business to do their Gold DofE through us. Since our partnership started with the DofE, 63 young employees have achieved their Gold DofE Awards. We hope the following pages will open your eyes and inspire you to the exciting career opportunities at VINCI. We have lots of young team members and you can find out more about them and their roles. Through participation in their Gold Duke of Edinburgh's Awards, we have seen our employees become better team players, develop effective decision making skills and develop into effective leaders. The DofE provides participants with unrivalled exposure to experiences that really benefits confidence levels and provides a solid foundation for career development within our organisation. In addition, the DofE allows us to have a really positive impact on the communities we work and live in. During our four year relationship with the DofE, our employees have volunteered more than 3,000 hours. Our commitment to the DofE remains as strong today as when we first commenced but now we are reaping the rewards from our employees who have completed their Gold Awards and are demonstrating the benefits they have gained every day, both in work and outside.